Iran's top military commander voiced the country’s readiness to help fight against terrorism. 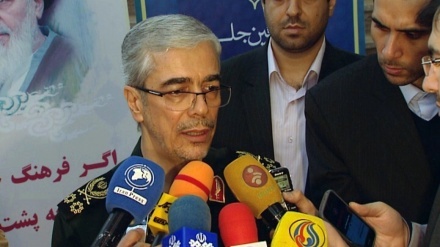 Iran Press/Iran news: The Joint Chief of General Staff of Iranian Armed Forces, Major General Mohammad Hossein Bagheri voiced his country’s readiness to help fight terrorism, because terrorists pose a threat to Iran as well. He made the remarks after his meeting with the Syrian Defense Minister, General Ali Abdullah Ayoub, and the Iraqi Chief of Army Staff, Lieutenant General Othman Al Ghanmi on Monday in Damascus, Iran Press reported. 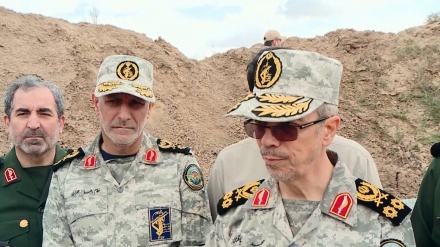 Major General Bagheri also emphasized on the necessity of respecting the Syrian state’s sovereignty and its territorial integrity, stressing that no country should enter it illegally. 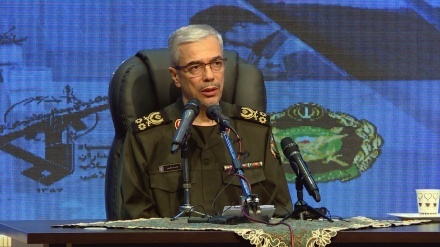 A few hours ago, Iran's top military commander said foreign forces should leave Syria at the earliest. The Syrian minister expressed satisfaction about the achievements of this meeting, adding that the obtained results will fortify trilateral cooperation against challenges and threats in future. He also stressed that Syria does not compromise when it comes to its right to defend its sovereignty, and that it will regain control over every inch of its territory, either through reconciliations or military force, adding that Idlib is no exception, as it is one of the four de-escalation zones which were specified, while the other three are back under the control of the Syrian state, and the same will happen to Idlib. In turn, the Iraqi Chief of Army Staff, Lieutenant General Othman Al Ghanmi said that the security of the borders between Syria and Iraq is very important, and it is controlled by the Iraqi security forces and the Syrian Arab Army, pointing out to the high level of coordination with the Syrian Arab Army regarding fighting ISIS terrorists.